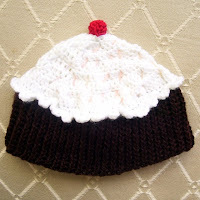 Anyhow, here is my latest design, (as requested by Deb), my "Lil' Cupcake Baby Hat" which coordinates with my "Lil' Cupcake Baby Shoes." 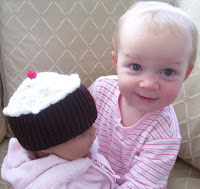 Pattern includes sizes newborn to 1-3 years. Oh to have a little girl that could wear those! My boys would not sport those so nicely. :) That's adorable, Lisa. Thank you so much for designing this hat! 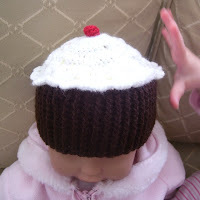 I will be making the set for Bailey's first birthday next month. We're doing a cupcake themed party for her and these are just perfect! Thanks again!